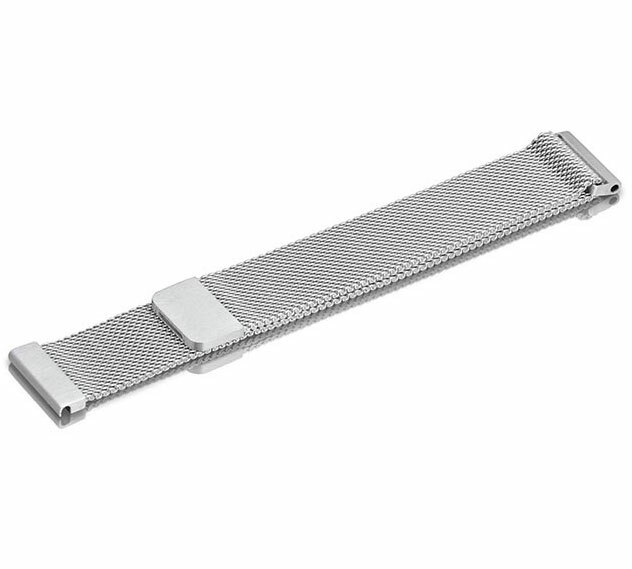 Flexible mesh bracelet in 316L stainless steel, with an R logo engraved clasp. The strap has a quick release system, so it can be put on or taken off the RUE 1/1 in seconds with no tools. 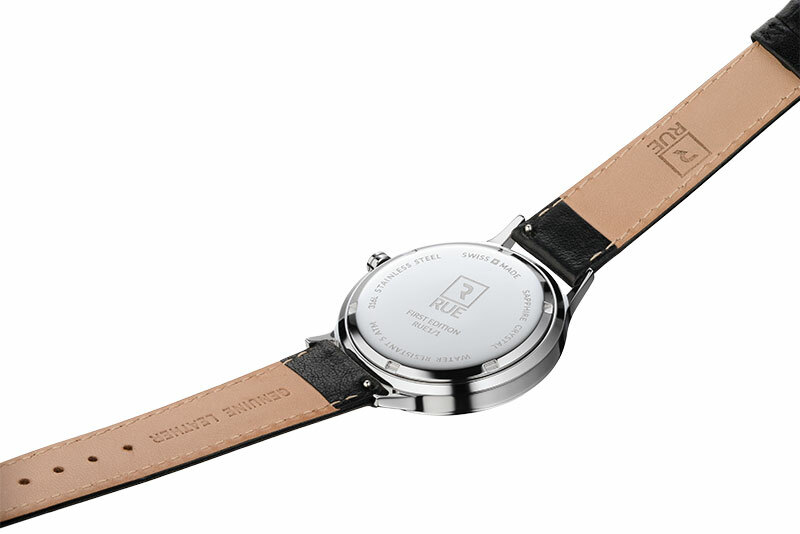 The First Edition RUE 1/1 watch is the first stop on a journey full of opportunity. Begin the journey with us with a unique style, limited to just 95 pieces. 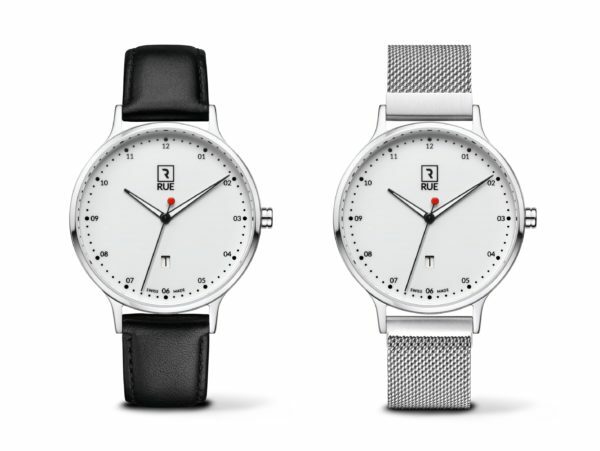 The watch is set in a high grade polished stainless-steel case, which is complimented by the double-domed sapphire crystal glass, that shows off the minimalist dial and reflects light for a bright, clean finish. 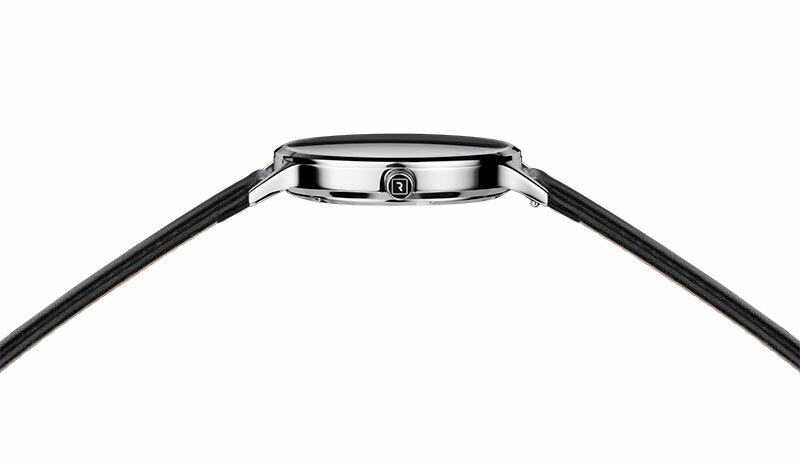 Inside, the gold-plated ETA F05.111 movement delivers up to 94 months of reliable battery life. 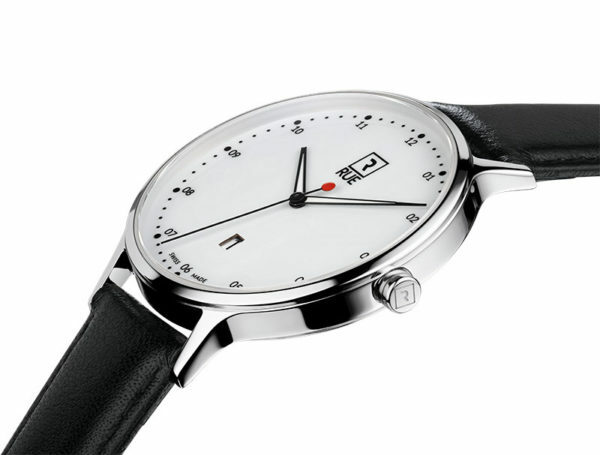 ETA is an industry leader that has been producing Swiss movements since 1793. The gloss white enamel dial is adorned with crisp midnight black markings for vivid contrast and optimal readability. Every element is designed with balance and minimalism in mind. A subtle, square date window is placed above six o’clock, which perfectly matches the street-inspired Rue logo at the top. Minute and hour hands are clearly outlined in black and feature luminous inserts. 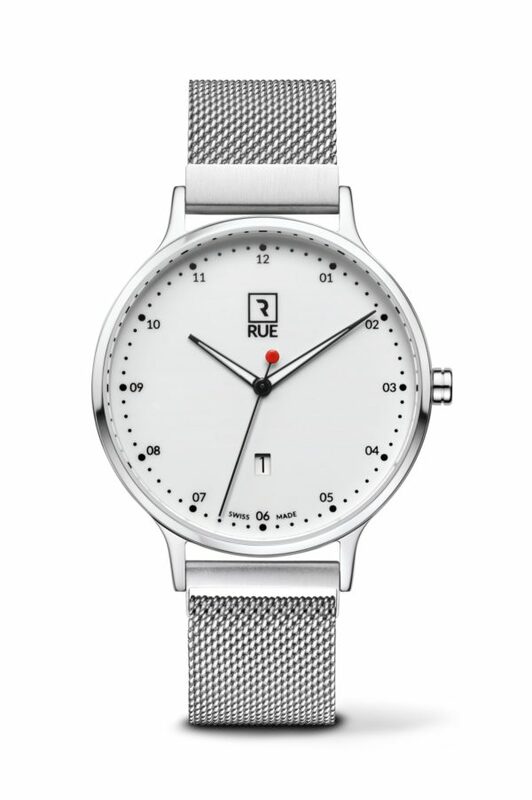 The ultra-thin second-hand ticks with unparalleled precision and features the iconic Rue traffic red dot. 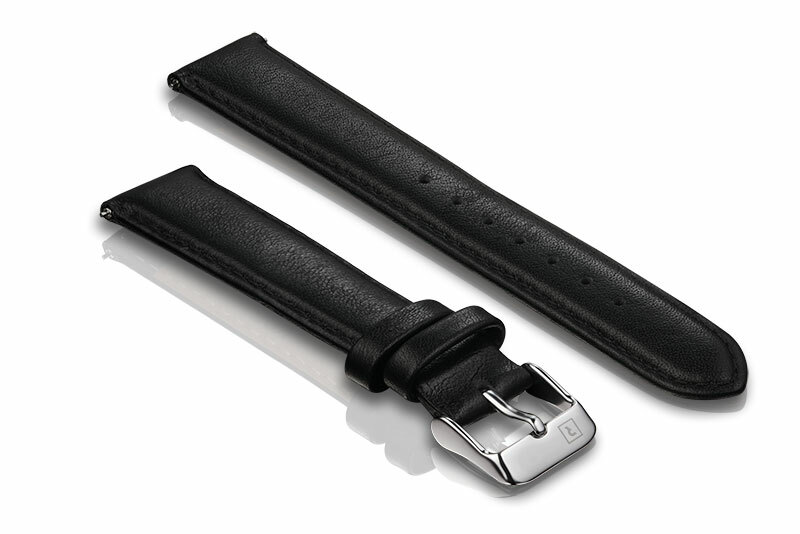 Looking forward, it’s easy to adapt and adjust your style with the quick-release strap, which doesn’t require any tools. 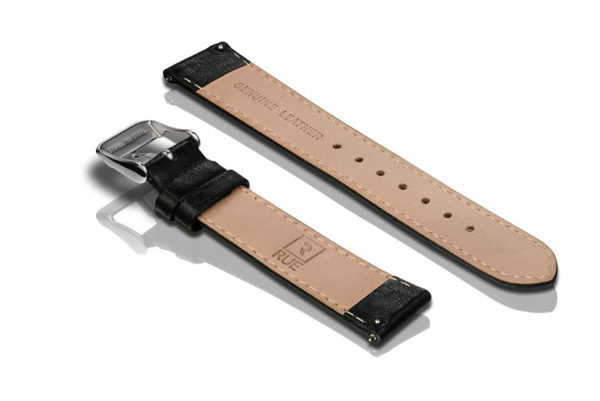 The RUE 1/1 features a protective anti-magnetic shield backing which is essential for the included magnetic Milanese strap. RUE 1/1 is ready to inform and inspire, wherever your journey takes you. 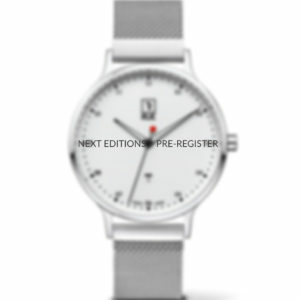 Each First Edition – RUE 1/1 comes with a certificate marking the number watch it is out of the limited 95.